Website Terms & Conditions were last updated in November 2006. Please read these Terms and Conditions carefully. 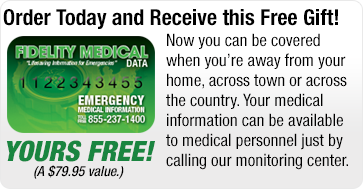 By accessing or browsing the Emergency Response USA. websites: www.emergencyresponseusa.com and/or any linked web site (collectively, the “ERUSA Websites”), or by downloading any materials from the ERUSA Websites, you agree to be bound by the Terms and Conditions set forth below. If, at any time, you do not wish to be bound by these Terms and Conditions, you should not access or use the ERUSA Websites. If you visit any other website maintained by Emergency Response USA. (“ERUSA”) or its affiliates, please be sure to refer to the website terms and conditions posted on that site. Copyright. The information on the ERUSA Websites, including, without limitation, all design, text, images, press releases, and other information, is protected under United States and other copyright laws and is owned by ERUSA or used under license from the copyright owner. Unless otherwise specified or agreed to by ERUSA, you may print, copy and download any information or portion of the ERUSA Websites for your personal use only. You may not modify, copy, reproduce, transmit, display, perform, distribute, transfer, rent, sublicense, publish, frame, store for subsequent use, create derivative works from, or otherwise use in any other way for commercial or public purposes, in whole or in part, any information, products or services obtained from the ERUSA Websites, except for the purposes expressly provided herein, without ERUSA prior written consent. If you copy or download any information from the ERUSA Websites, you agree that you will not remove or obscure any copyright or other notices or legends contained in such information. ERUSA neither warrants nor represents that your use of materials displayed on the ERUSA Websites will not infringe rights of third parties not owned by or affiliated with ERUSA. Any unauthorized use of any materials on the ERUSA Websites may violate copyright laws, trademark laws, the laws of privacy and publicity, and communications regulations and statutes. You are advised that ERUSA will aggressively enforce its intellectual property rights to the fullest extent of the law, including the seeking of civil damages, penalties, injunctive relief and, if permissible, criminal prosecution. A statement by you, made under penalty of perjury, that the information in your notice is accurate and that you are the owner of the allegedly infringed copyright, or that you are authorized to act on behalf of the copyright owner. Please note, any other matters or inquiries (i.e., non-copyright related matters or inquiries) directed to the Copyright Agent will not be addressed or responded to. To contact Emergency Response USA. on other matters, please visit the “Contact Us” section of emergencyresponseusa.com. Trademarks. The trademarks, logos, and service marks displayed on the ERUSA Websites (collectively the "Trademarks") are trademarks of ERUSA and its affiliates. Nothing contained on the ERUSA Websites should be construed as granting you any license or right to use any of the Trademarks for any purpose whatsoever, including, but not limited to, use of the Trademarks as metatags on other websites, without ERUSA prior written consent. Unauthorized use of any of the Trademarks is strictly prohibited. Linking. Notwithstanding the preceding paragraphs, you may be granted a limited, nonexclusive right to create a hyperlink to the ERUSA Websites provided (i) you give ERUSA notice of such link by contacting to ERUSA, (ii) ERUSA confirms in writing that you may establish the link, (iii) you do not remove or obscure the copyright notice or other notices on the ERUSA Websites, (iv) such link does not portray ERUSA or any of its products and services in a false, misleading, derogatory or otherwise defamatory manner, and (v) you immediately discontinue providing a link to the ERUSA Websites if so requested by ERUSA or its affiliates. You may not use a ERUSA logo or other proprietary graphic or trademark of ERUSA to link to the ERUSA Websites without the express written permission of ERUSA. ERUSA reserves the right to revoke this license generally, or your right to use specific links, at any time. Under no circumstances may you “frame” the ERUSA Websites or any of its content or copy portions of the ERUSA Websites to a server. Each page within the ERUSA Websites must be displayed in full (including all trademarks, branding, advertising and promotional materials), without any accompanying frame, border, margin, design, branding, trademark, advertising or promotional materials not originally displayed on the page within the ERUSA Websites. No Warranties. The information contained on the ERUSA Websites is provided without any warranties or representations as to the accuracy, completeness or timeliness of such information. ERUSA assumes no liability or responsibility for any errors or omissions in the content of the ERUSA Websites. ERUSA reserves the right to modify the information contained in the ERUSA Websites without notice, and makes no commitment to update the information contained in the ERUSA Websites. Without limiting the foregoing, everything on the ERUSA Websites is provided "AS IS" WITHOUT WARRANTY OF ANY KIND, EITHER EXPRESSED OR IMPLIED, INCLUDING, BUT NOT LIMITED TO, THE IMPLIED WARRANTIES OF MERCHANTABILITY, FITNESS FOR A PARTICULAR PURPOSE, OR NONINFRINGEMENT. Please note that some jurisdictions may not allow the exclusion of implied warranties, so some of the above exclusions may not apply. ERUSA assumes no responsibility, and shall not be liable for, any damages to, or viruses that may infect, your computer system or other property as a result of your access to, use of, or browsing of the ERUSA Websites or downloading of any information, materials, data, text or images from the ERUSA Websites. Limitation of Liability. IN NO EVENT SHALL ERUSA OR ANY OF ITS AFFILIATES BE LIABLE FOR ANY DIRECT, INDIRECT, INCIDENTAL, SPECIAL, EXEMPLARY, PUNITIVE, CONSEQUENTIAL OR OTHER DAMAGES WHATSOEVER ARISING OUT OF YOUR USE OF THE ERUSA WEBSITES, INCLUDING, WITHOUT LIMITATION, LOST PROFITS, BUSINESS INTERRUPTION AND LOSS OF PROGRAMS OR OTHER DATA, EVEN IF INFORMED IN ADVANCE OF THE POSSIBILITY OF SUCH DAMAGES. Means of Access. Unauthorized use of the ERUSA Websites and systems, including, but not limited to, unauthorized entry into ERUSA systems, misuse of passwords or misuse of any other information is strictly prohibited. You may not use the ERUSA Websites in any manner that could damage, disable, overburden or impair any ERUSA Website or interfere with any other party’s use and enjoyment of the ERUSA Websites. You may not attempt to gain unauthorized access to the ERUSA Websites, computer systems or networks connected to the ERUSA Website through hacking, password mining or any other means. You agree that you will not engage in any activities with respect to the ERUSA Websites that are contrary to applicable laws or regulations. Account Access. Certain areas of the ERUSA Websites are protected by passwords. You may not obtain or attempt to obtain unauthorized access to such areas of the ERUSA Websites, or to any other protected materials or information, through any means not intentionally made available by ERUSA for your specific use. User Name and Password Security. If you have a user name and password for access to the non-public areas of the ERUSA Websites, you are solely responsible for all activities that occur in connection with your user name and/or password. You should take steps to protect the confidentiality of your user name and password. If you become aware of any disclosure, loss, theft or unauthorized use of your user name and/or password, please notify ERUSA immediately. Forward-Looking Statements. The ERUSA Websites may contain both historical and forward-looking information. Statements regarding potential global improvements at ERUSA operations, the financial environment in any given country, investments in information technology, financial results, global leadership, the secured transportation or security business, operating profits, improvements in operating efficiencies, customer retention efforts and prospects to grow ERUSA involve forward-looking information which is subject to known and unknown risks, uncertainties and contingencies, which could cause actual results, performance and achievements to differ materially from those that are anticipated. Such risks, uncertainties and contingencies, many of which are beyond the control of ERUSA, include, but are not limited to, overall domestic and international economic and business conditions, the domestic and international demand for ERUSA services, pricing and other competitive factors in the industry, new government regulations, and/or legislative initiatives, variations in costs or expenses and delays or problems in the implementation of information technology by ERUSA and/or any public or private sector supplier, service provider or customer. Indemnification. As a condition of your use of the ERUSA Websites, you agree to indemnify and hold ERUSA harmless from and against all claims, losses, liabilities, costs and expenses (including, but not limited to, attorneys’ fees) arising from your use of the ERUSA Websites, or from your violation of these Terms and Conditions. Governing Law and Jurisdiction. The laws of the state of New York will apply to all matters relating to the use of the ERUSA Websites. Those who choose to access the ERUSA Websites from other locations do so on their own initiative and are responsible for compliance with local laws, if and to the extent such local laws are applicable. You agree to submit to the exclusive personal jurisdiction and venue of the Courts of Nassau County, New York. Severability. If a court of competent jurisdiction deems any provision of these Terms and Conditions unenforceable, that provision will be enforced to the maximum extent permissible and the remaining provisions will remain in full force and effect. Violations. ERUSA reserves the right to seek all remedies available at law and in equity for violations of these Terms and Conditions, including the right to terminate your access to the ERUSA Websites for any reason, without prior notice. Changes. ERUSA may revise these Terms and Conditions at any time, without prior notice; however, the most current version of the Terms and Conditions will always be available to you by clicking on the link at the bottom of the ERUSA Websites. You are encouraged to regularly review these Terms and Conditions to ensure that you are aware of any changes. By continuing to access or use the ERUSA Websites after changes in the Terms and Conditions have been posted on the ERUSA Websites, you agree to be bound by the most recent version of these Terms and Conditions. These Terms and Conditions are in addition to any other agreements that may exist between you and ERUSA including any agreements that govern your use of products, services, content, tools and/or information available on the ERUSA Websites. Copyright © 2012 Emergency Response USA. All rights reserved.